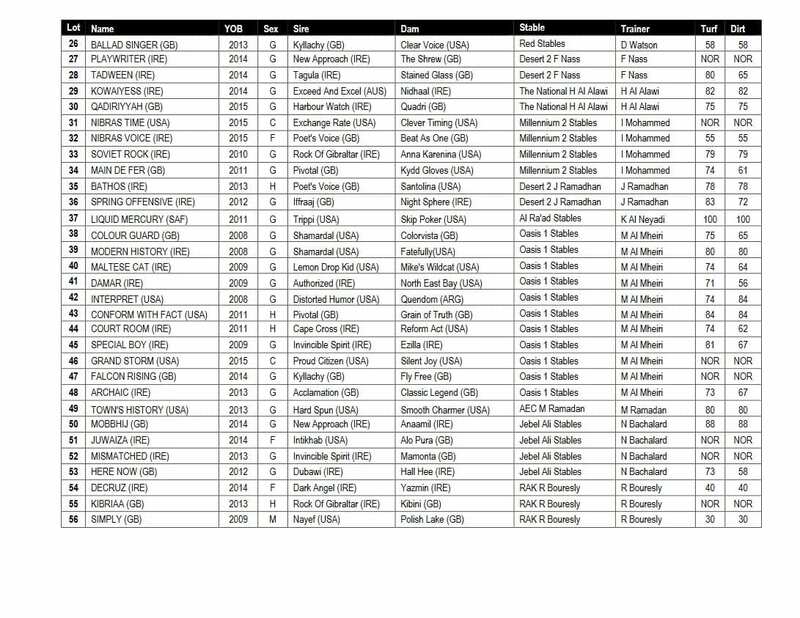 Emirates Racing Authority is holding the ERA Thoroughbred Horse Sale 2018 on Monday, December 17, 2018, at 3:00 p.m. 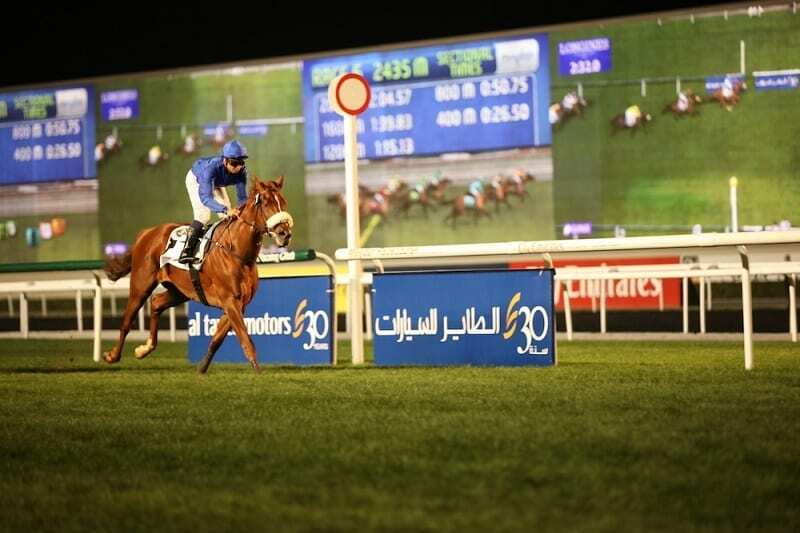 The event will take place in the Meydan Racecourse Saddling Enclosure. Potential buyers may view the horses beginning at 1:00 p.m. 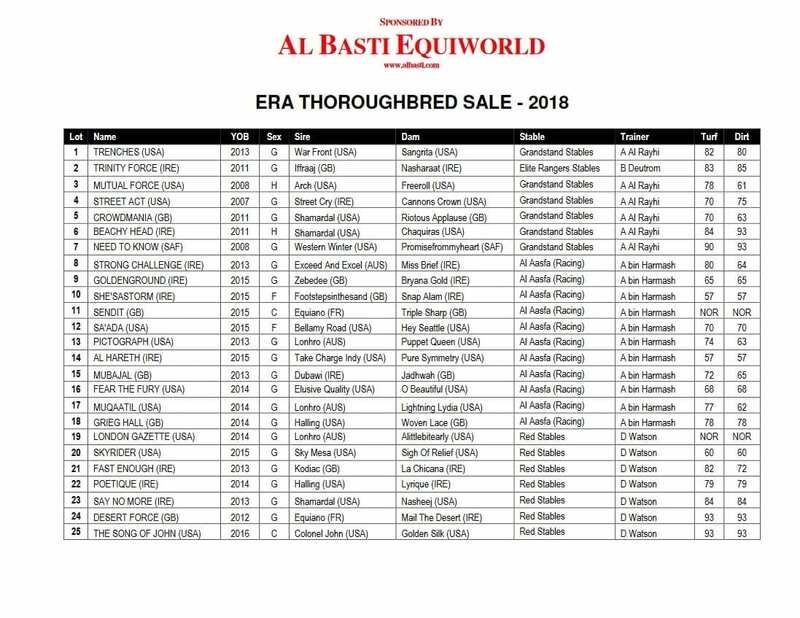 The ERA Thoroughbred Horse Sale 2018 is sponsored by Al Basti Equiworld in association with Tattersalls.